"Singapore. 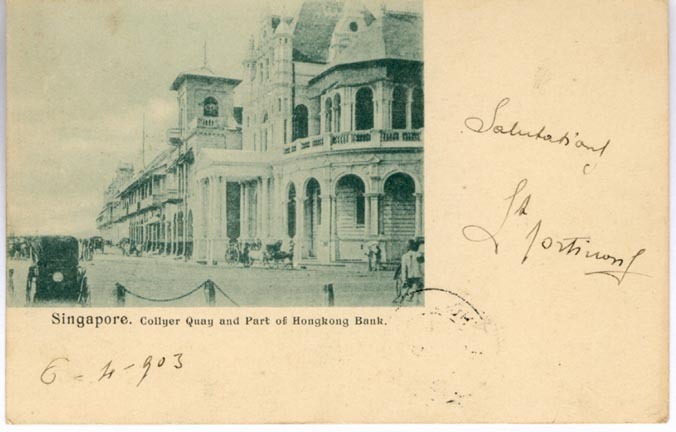 Collyer Quai and part of Hong Kong Bank". Dated in message "6/4/903."